Here at Deepblu we talk to a lot of divers. It follows, we're a diving company with a focus on everything that you do. 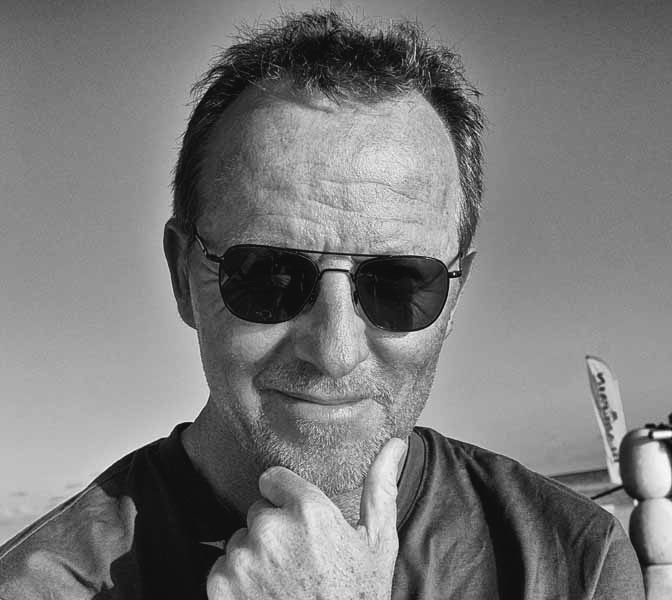 This week for the Deepblu Diver Spotlight I talked to Dietmar W. Fuchs, who is an avid diver, writer, editor, and photographer with a passion for life that is contagious, even through the internet. As a fellow editor we had a lot to talk about, and I found the things he does to be very fascinating. Dietmar is the head of the VDST Sporttaucher, the official magazine of the Verband Deutscher Sporttaucher, which is the German Sport Diving Federation in English terminology. What I found fascinating about this publication is that there is currently not an online presence beyond the VDST website, yet the magazine, in the age of digital media, is going strong with 80,000 subscribers. In addition to being the editor in chief of a major publication, Dietmar, or "D" as he signs his e-mails, is a skilled photographer with a knack for being inventive with his materials and technique. 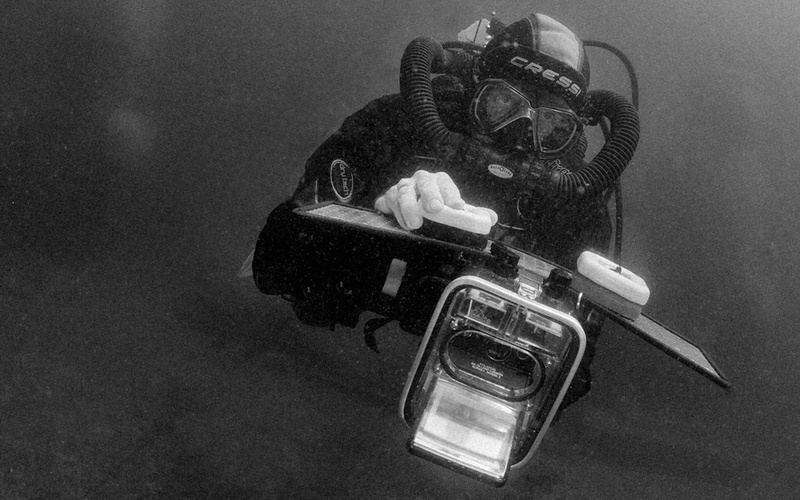 For years he has specialized in underwater film and even used a special enclosure to take underwater Polaroid photos. In the coming weeks we'll be working closely with VDST to develop an online presence for them and add their unique style and flair to the platform. Adding to our normal diving fare, we'll be talking about sports such as underwater rugby and hockey as well as several other things which make them tick. But first, let's see what the man himself has to say. Let’s start easy… how’d you get into diving? Don’t laugh at me, but I only started swimming when I was 14. Both of my parents can’t swim and there were not many possibilities for me to swim in the early sixties. So in school I took the chance to train in diving (sinking beneath the surface seemed easier) with the German Life Saving Association DLRG and became a diver. The dives were not much fun though, cleaning water reservoir outlets from drowned deer and such. My first fun dives I did were in 1976 when I travelled to the Mediterranean Sea. That was great fun and I took diving as main hobby further on. What’s running a huge (80,000 subscriber?) magazine for such a passionate niche crowd like? Black and white. Black because you have 80,000 well-trained divers that will always find a point in the magazine and not agree; white, because it’s great fun to know that you reach so many real divers and get into fruitful discussions all of the time. After about 40 years of diving and as an instructor trainer, dive boat captain, marine biologist, and editor, I thought I knew everything. Now, after I took over the VDST-sporttaucher in April of last year, I realized that I’ve just started and there is so much more to learn. That’s why I want my federation colleagues to join my work in and on the magazine to publish the combined knowledge of the federation and not just what four or five editors think are best! The VDST-sporttaucher covers everything the federation covers, from entry-level diving up to tech diving, rebreathers and all. We are very strong in freediving, and competition freediving is just starting. The federation is an official member of the DOSB (German Olympic Federation) and we want to start competition free diving due to the Paris Olympics, where it might be introduced, so it's our responsibility. The federation also is the sole organization responsible for all diving competition sports (fin-swimming, underwater rugby, underwater hockey, and underwater orientation) in the CMAS. So we are serious about the "sport" in our name. The same with medicine and science. We do have some of the best and most respected hyperbaric doctors and marine scientists in our federation and helped to establish a 24 hour accident hotline and much more. Our president, Prof. Dr. Franz Brümmer is one the most respected marine biologists in Germany, and there are many more in the federation taking care of the science department. How can Deepblu users interact with Sporttaucher? Oh, we don’t really know this yet. I have to admit that many of the divers in charge are a bit older (like me) and thus new to online stuff like Deepblu; but, Deepblu seemed to be very enthusiastic about the diver’s online world and we want to try it. For everything regarding the VDST-sporttaucher Deepblu members can get in touch with me via Deepblu or via my email. For more information about the federation and what is going on please check our website, alas, it’s all in German, but you can write in English to me. You actually take Polaroids underwater, how did you develop and accomplish this idea? I’ve been into photography for many years. It started with a Nikonos IV when it came out in the early eighties and upgraded to the "II" in the meantime. But, as editor-in-chief, I didn’t want to compete with "my" photographers, so I switched over to film and later video. Check out some photos on Facebook here! I also collect stuff, my wife hates me for that, including underwater cameras, and when I stumbled over an vintage Ikelite housing on eBay I bought it, got a vintage Polaroid SX70 and tried it. It was almost impossible to get a decent shot so I got hooked. With eight pictures costing 20 Euro it's quite expensive but thanks to the film company Impossible and Ikelite, which both sponsor my personal training, I get better and better pictures and will have my first exhibition soon. Check out some unique underwater Polaroid shots here! What are your favorite spots for photography? Do they match up with your favorite dive spots in general? Yep, it’s wrecks I’m interested in. As an editor I like stories, and nobody gives me better stories than wrecks. I’m addicted to wreck diving and wreck photography! Do you display your photos in exhibitions or the internet? I do not believe in displaying pictures on the Internet. I want people to enjoy photography and take some time to do so, but will they do that on the same machines they work at (talking about computers) or tiny display they permanently use to hustle through subways (talking about phones)? I think not! Yes, this is as old-fashioned as my printed photo books and magazines. But those are nice, not only to enjoy good photography, but also own it. Is there other art that you do? My primary role is editing dive adventures and underwater photography, so I’m more a curator to the finest art photography. I also try to assist the very best photographers in publishing their art in hardware such as books, magazines, and print exhibitions. 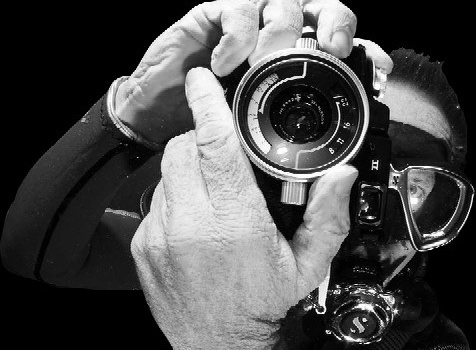 My main sponsor for that is the Swiss watch manufacturer Blancpain, who has since 2008 financed all of these exhibitions and helped professional underwater photographers to publish outside of the online world. What is the best thing about the creative eye meeting diving? Any advice for aspiring underwater photographers? First: Go down and shoot. Second: Do not copy other pictures. There are already enough whale shark and "Nemo" shots. Be innovative! Third: When you really want to learn more about photography buy a vintage "How to…" book from the eighties and a Nikonos V, and use slide film. If you master this you’ll master good digital photography any time. Fourth: Do not be shy to ask professional photographers what they think about the pictures, and do not be mad with them if they tell you the truth. Take any criticism as good advice. Fifth: Try to find somebody who is willing to pay for your photography. 100 dollars in cash for one picture will tell you more than 100,000 likes on Facebook. Great advice. Thanks for talking to us! Stay tuned for more, as I, for one, need to learn more about underwater rugby. Dive on.